Muslims sometimes get confused about what Christians mean when they say the Bible is the Word Of God. They read the Bible and see that besides the words of God, there is also the words of men in it. And so how can it be called the Word Of God? The confusion is a failure of differentiating between “words of God” and “Word Of God”. 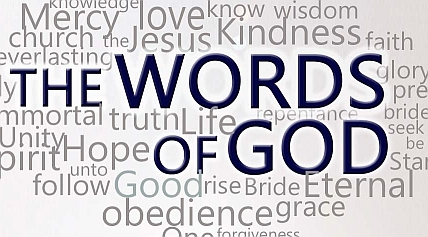 The written “Word Of God” is a TITLE for the Bible and this “Word Of God” CONTAINS the record of the words of God in the context of background, history, instructions, stories, proverbs, parables, prophecies, eye-witness accounts, etc. So the Bible has the words of God and also the words of men and women, kings and beggars, good men and evil men. These were written by prophets like Moses and Daniel, and eye-witnesses like John and Peter, who were led and inspired by God to write His message for mankind. Meaning they didnt use their own imaginations to simply make things up as they willed. The Word Of God is a not a narration by God like the Quran. Quran was spoken to one man by a mysterious being in a cave with no witnesses claiming it is the words of Allah over a period of 23 years. So the Word Of God simply means the message of God to men. The Bible was written by 40 men over a period of 1500 years and contain The Torah, Psalms, Writings of The Prophet, Gospels and the writings of the followers of Jesus.